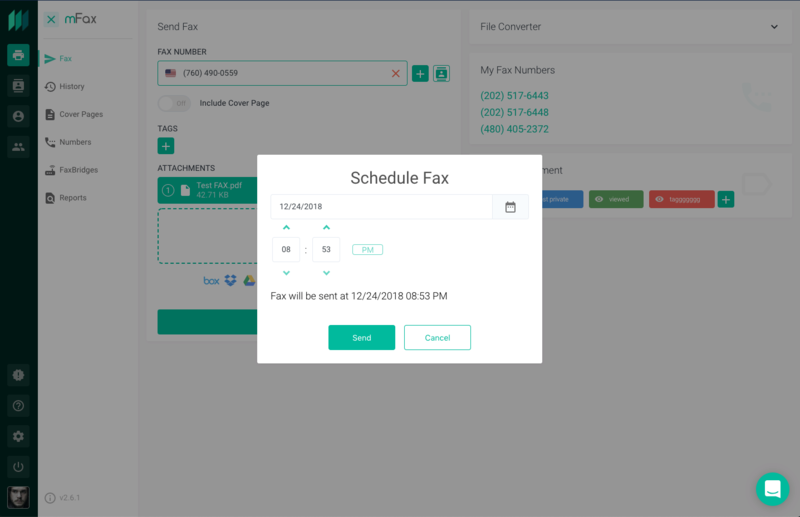 Users can schedule a fax to send at some day or time in the future directly through the web portal utilizing the "Send Later" feature. 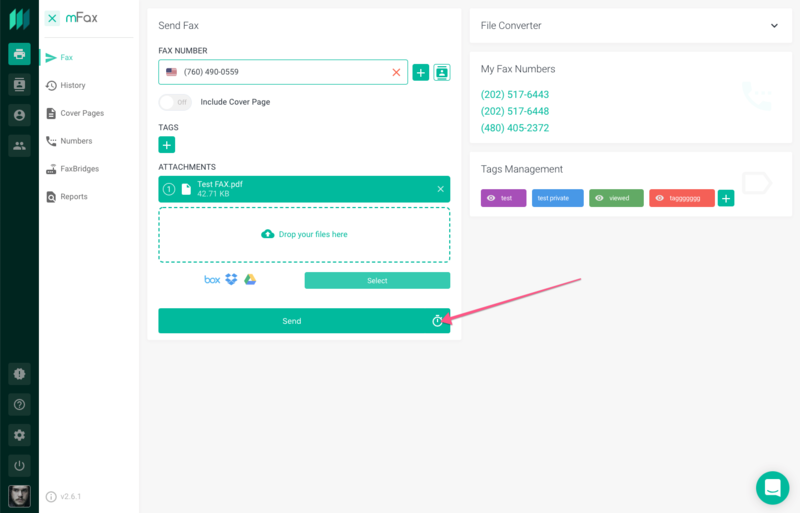 Simply compose a fax like you normally would entering the receiving fax number, using a cover page if you choose, and adding your files to fax. Then, instead of clicking the main "Send" button (which would immediately process and send the fax) you will want to press the clock icon on the far right portion of the "Send" button. This will activate a modal and allow you to enter in the date and time that you wish for the fax to process and send. After entering the new date and time, click the "Send" button. If nothing further is done the fax will process and send at that time. The fax will show with a watch icon on your history screen and be available to cancel any time prior to the fax processing. To cancel the fax click the 3 dots on the far right of the fax from the history screen and choose "Cancel".